1. SLEEP! I'm probably jinxing myself, but Kenley for the first time in forever has only woke once during the night and slept in until 6am... two nights in a row. It seems all signs of the double ear infection are gone, she's back to eating 3+ full meals a day, and now this sleep. Not sure who this baby is, but I like her! 2. Pre-School. I'll write up more in a week or two, but with two weeks down (of two half days a week), Ashlynn is loving it. It doesn't come with out some tears, but they are usually pretty comical compared to heartbreaking. Her teacher says she's doing great, and she really seems to love it asking "Ashie school?" almost every morning. 3. It might be a bit early, but I couldn't resist picking up a GIANT pumpkin at Wegman's yesterday. They are $5.99 each, no matter the size, and we had our pick of the lot since they just arrived. I'm going to have to resist getting any more before our trip to the pumpkin patch! I also pulled out our Fall/Halloween decorations last week and realized I'm really lacking in the Halloween decor. I was aware of this, since in years past I always focused on "Fall" since it could live longer than Halloween and we never had a baby big enough to truly enjoy it. Of course, now I'm trying to teach Ashlynn more about Halloween and wish we had more! 4. 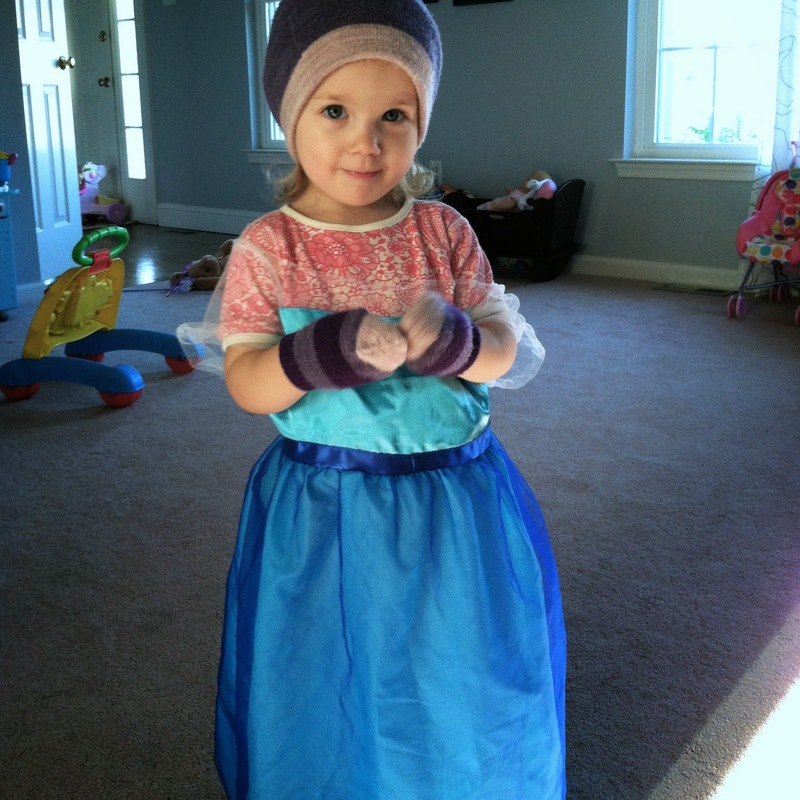 Speaking of Halloween, every time I ask A what she wants to be she says a few random things, then ends on Elsa. She pretty much wears her Elsa dress daily so I'd really like something new and different. We'll see what we can come with before the 11th hour. Don't forgot to share your busy box reveals and tutorials with us next Tuesday! We'll be sharing how we made our boxes for our swap and hope you participate in our link up! I know we all could use more ideas on how to keep our little ones busy (and happily busy at that!). Last chance for the blog sale going on in my closet. I'll be donating anything left next week. The In Bloom Boutique Giveaway winner was chosen last week, congrats Amy! But don't forget you can always get free shipping and 15% off your order with code STRAWBERRY15. A reminder to share your child's #WhatDoYouSee photos on instagram and twitter for a chance to win an Eric Carle prize pack from Gymboree. Check out the details in this post from last week. And finally, have yourself a freakin' weekend! We are starting back at gymnastics, hitting up our neighbor's annual wine tasting par-tay, and hopefully squeezing in some apple picking between some minor home improvement attempts. Love those super cute PJs! Seriously, I'd take Tinkerbell or Rapunzel in a second, we don't own them and we might as well because I know the request will come soon enough. At least it's something new. I'm also thinking of getting 101 Dalmatians on dvd so she'll want to be that, because then I can dress them both up and they'd look ridic being pulled in the wagon. I love Frozen, but yeah, try some variety kid. They are the only two dresses we have, yet she is refusing something new. Her dad is probably so happy, ha. I can see Owen as Star Wars character :) I just have pumpkins, pinecones, leaves, boring stuff. Need some cauldrons, skulls, and spiderwebs in my life. Seriously, nothing like getting more sleep. I feel like a new woman! Thanks, we love them too, really soft! Coming over from the link-up! Those Eric Carle jammies and the photo of your little gal and her pup are adorable! I hope your weekend is wonderful! YAAAAAY for sleep!!! She is a cute Elsa! Thanks again for hosting that great giveaway! Love that she's so into preschool - I taught it for years and not everyone warms up to the idea of school so quickly! Yay for sleep and Ashlynn liking preschool! LOL on the pumpkin and Halloween decor. I always always have way more Halloween themed decor than Fall decor. And my sister kept a pumpkin so long it actually dried out and turned into a gourd, though you'd never know if you didn't pick it up - so there you go for longevity!